I was a late bloomer when it came to cooking for myself. It wasn’t until my second year of organic chemistry lab, during my undergraduate studies, when I realized that cooking was a lot like science, and I ventured into baking cookies from very detailed recipes. The cookie baking process reminded me of my five-hour-long experiments in the chemistry lab. You had a “recipe” to follow; you had to be exact, patient, and precise to deliver the correct results. If you tried to rush things along or didn’t pay attention, you often ended up having to repeat your experiment. Chemistry class, and later, baking, had a profound calming effect on me. No matter what was happening in my other classes, I came to the chemistry lab and had a recipe to follow. If I followed the recipe exactly, all would turn out well. Once I became comfortable with baking from recipes, I eventually began to venture more into cooking and even creating my own recipes. I was surprised to find that many of the recipes and methods came so easily to me. I think this is because when I was younger, growing up in Poland, I used to watch my mom, aunts, and grandma as they cooked and baked in the kitchen (we didn’t have cable!). Then, when I got a little bit older and we moved to the United States, I spent hours watching cooking TV shows. So once I stepped into my own kitchen, I remembered and replicated the things I saw others do. I began to love cooking and baking, and would often host dinners for friends and family members. I enjoyed the praise I received from my colleagues at work whenever I brought in a new treat. Everyone praised me for my inventive dinners, side dishes, cakes, and desserts. My husband and I frequented various restaurants. I enjoyed “hacking” the recipes we were served and improving upon them at home. Of course, this all changed when I went gluten and dairy free at the beginning of 2011. A test revealed that I was gluten and dairy sensitive, so my diet changed drastically. The diet worked well for my symptoms, and my acid reflux, bloating and irritable bowel syndrome disappeared within three days. But along with the symptoms (which I was happy to lose), I also felt like I lost a big part of my identity. No more cookies, quiches, pies and pierogies as I knew them. I felt like I could no longer be a “foodie.” I had no idea how to make great tasting food without dairy and wheat! So I had to start from scratch. At first, I had no idea what I was going to eat, and none of the food tasted as good. I was lost when it came to ordering at restaurants and began to avoid them. It took me a good couple of years to get comfortable with cooking again. I bought every single gluten free/Paleo/vegan cookbook I could possibly find and began to follow recipes. I started to host dinners again to try out my new recipes and was so proud when my family and friends still liked the food. This was progress! I feel like my major breakthrough came when my mom and sister-in-law began to follow the Paleo diet. I was able to watch and learn from them, and this helped me grow my healthy cooking skills. Soon, I was making new recipes left and right. What Do Hashimoto’s-Friendly Meals Look Like? As a pharmacist, I’ve spent countless hours learning pharmacology, the study of how various molecules interact with the cells and tissues of our bodies. When we think of pharmacology, we may think only of synthetic substances such as prescription drugs, but pharmacology is actually the study of any substance — whether synthetic, naturally occurring, or produced within our body — that can affect our physiology and biology. Small amounts of substances in foods we eat every day can have a profound effect on us, as food molecules send thousands of messages to our bodies every time we eat them. The right foods can send positive and nourishing messages, allowing our bodies to function at optimal performance levels. The wrong foods, on the other hand, can send negative signals, causing inflammation, pain, and many other undesired symptoms. That’s why having Hashimoto’s-friendly meals is so important! My own experience and research have led me to the conclusion that a Paleo or Autoimmune Paleo style diet works well for most people with Hashimoto’s. At the very least, I recommend avoiding gluten and dairy, as they tend to be problematic for most people with Hashimoto’s. Additionally, I recommend a diet that keeps your blood sugar balanced and is rich in grass-fed meats and organic vegetables. In essence, Hashimoto’s-friendly meals omit common inflammatory foods and, instead, contain wonderful healing foods for the thyroid. That said, you may be wondering, What can I possibly cook with so many requirements… that tastes good? This appetizer is a perfect blend of crunchy, chewy and rich flavors. *If you have a question about the use of kale or radishes for people with Hashimoto’s, check out my article on goitrogens and Hashimoto’s, which debunks the myth that all goitrogens are bad for the thyroid. This meal is quick, easy and tasty! While the oven is preheating, marinate the salmon in the olive oil and lemon juice. 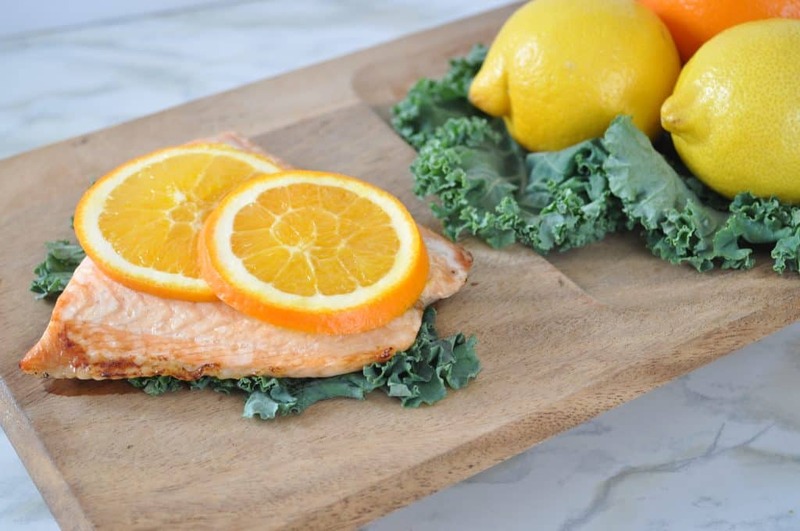 Place a slice of orange on top of each filet, sprinkle with sea salt, and bake for 30 minutes, or until salmon is cooked through. 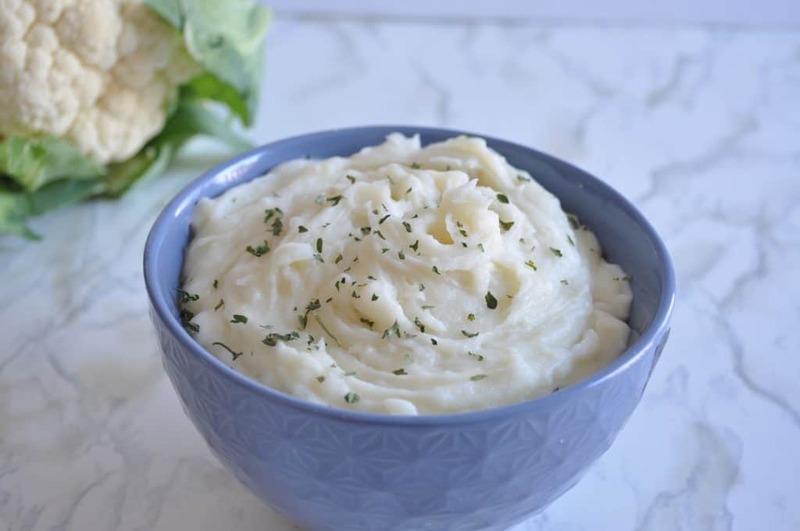 This is a delicious replacement for mashed potatoes! Add it to a blender like the Vitamix (or mash with a potato masher). Stir in coconut milk, sea salt, and herbs. A delicious and quick dessert! 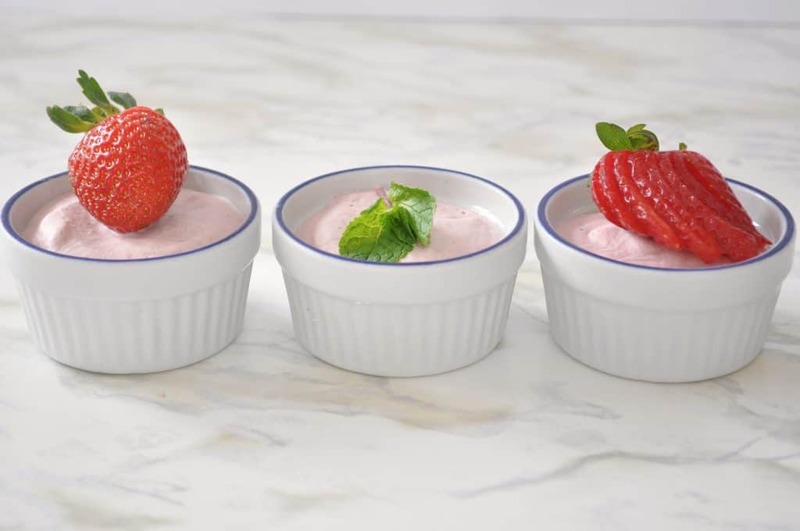 Blend strawberries, sweetener, coconut milk, and mint leaves. All of the guests loved the meal I served, even those who didn’t follow a gluten and dairy free diet! This event confirmed my belief that thyroid-friendly food really can be a tasty crowd-pleaser. Whether you’re like me and you love to be in the kitchen, or you’re new to eating to heal Hashimoto’s and are looking for a place to get started, there are many wonderful resources for recipes that will help inspire you to get creative in the kitchen. I strongly believe in the healing power of whole foods, and I want to make cooking healthy meals easy and accessible for all of my readers. That’s why I am so excited about the release of my very own cookbook, Hashimoto’s Food Pharmacology: Nutrition Protocols and Healing Recipes to Take Charge of Your Thyroid Health, which is available now! In it, you’ll find 125 recipes that are easy to prepare and highlight how delicious it can be to cook meals that are healing for Hashimoto’s. I’ve also included plenty of information about the healing potential of food, the kitchen tools and cooking strategies I use to easily prepare meals, two weeks worth of meal plans to get you started, and more! Barszcz (Polish Beet Soup) – Beets are an excellent liver-supporting food that can help your body methylate properly. My mom and grandma spend hours in the kitchen making this traditional soup. I’ve found a way to maximize flavor and healing potential, while minimizing time in the kitchen! 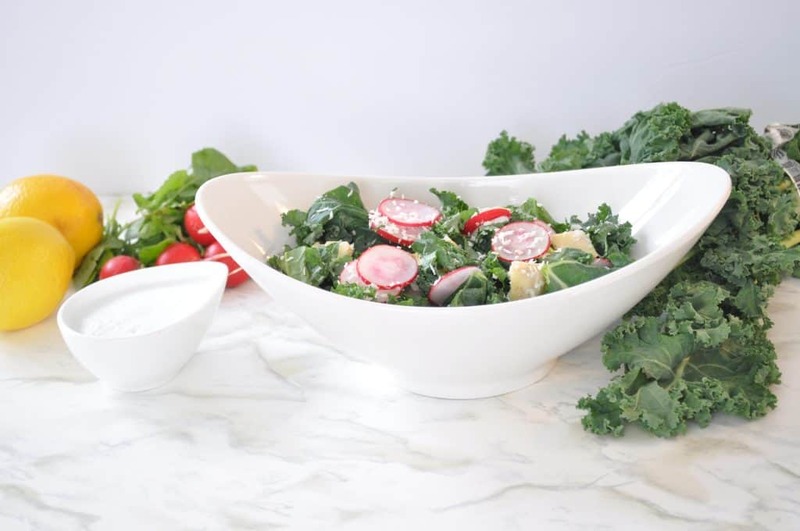 Goddess of Detox Dressing – I developed this dressing because my clients and readers kept saying, “I thought that I LOVED salad, but it turned out that it was only good because of the dressing! What type of dressing can I use with Hashimoto’s?” This dressing is SO good, you may want to eat it by itself! Hopefully, you’ll find the new cookbook, as well as the recipe resources in this article, inspiring to you as create your own Hashimoto’s-friendly menu. 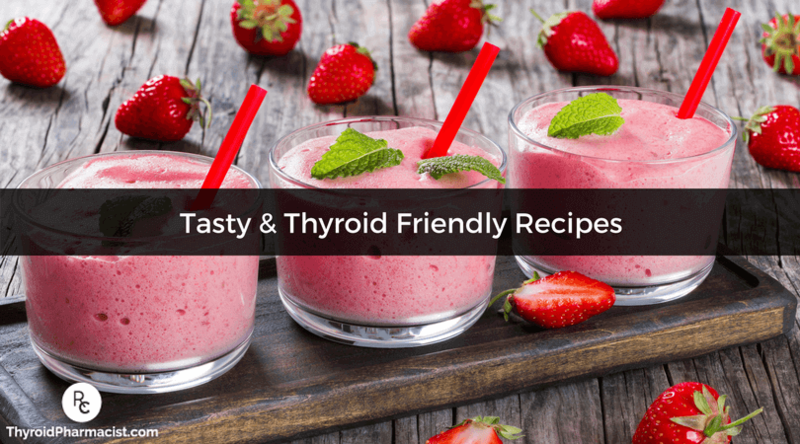 While there is a bit of an adjustment period when you first start learning to cook in a new way, there are so many delicious recipes out there that make cooking for thyroid health fun and easy. For future updates, make sure to follow us on Facebook, too! Note: Originally published in May 2015, this article has been revised and updated for accuracy and thoroughness. will this be recorded? I will be at work when this takes place. Lynn- You may be interested in checking out the Root Cause Recipe Portal. It is full of autoimmune paleo and paleo recipes. You’re able to organize weekly shopping lists, meal planning, etc. Hope you check it out. I’ll be working during this presentation as well. Will I be able to see it at some other time–at my convenience? Anne- You may be interested in checking out the Root Cause Recipe Portal. It is full of autoimmune paleo and paleo recipes. You’re able to organize weekly shopping lists, meal planning, etc. Hope you check it out. “It’s All Good”, great turkey meatballs with herbs and arugula! Susie- Thank you so much for following this page! You may be interested in checking out the Root Cause Recipe Portal. It is full of autoimmune paleo and paleo recipes. You’re able to organize weekly shopping lists, meal planning, etc. Hope you check it out. That salmon recipe sounds a lot like the poached salmon I made a while back. Might even want to try a little graunlated garlic (a pinch to a tablespoon depending on how much salmon you’re cooking) and just a pinch to a baby spoon size even measurement of nutmeg to bring out the garlic flavor. Nicola- That is great!! You may be interested in checking out the Root Cause Recipe Portal. It is full of autoimmune paleo and paleo recipes. You’re able to organize weekly shopping lists, meal planning, etc. Hope you check it out. Hi I’d like to make the cauliflower mash. The ingredients ask for coconut milk but the instructions say coconut oil. Which should I use? Sheila – thank you so much for letting my know! <3 You would use the coconut milk. Hi, is fermented dairy still fine while eliminating other dairy? I like raw yogurt and kefir. A lot of your recipes call for coconut milk. What brand do you recommend?